Frozen Fire is the first MONTY GUY digital CD release. One early critic referred to the original music collection as "a lovably home grown sound". The CD was awarded a place on the 46th (2003) GRAMMY® Nominations Entry list in the "BEST POP VOCAL ALBUM" category. The collection includes twelve songs; featuring both vocals, and instrumental renditions. The song 'Senorita Bonita' made its debut, and was subsequently improved upon and reintroduced as 'Senorita Bonita-Redux'. The title track 'Frozen Fire (Unseen Movie Theme)', an instrumental, continues to be surprisingly popular. One of the more challenging songs in Monty's catalog, a ballad, called 'Starting Tonight' has received comments of appreciation from Frozen Fire's original publishing date. Much to the artist's surprise and delight, the 'Frozen Fire (Unseen Movie Theme)' instrumental continues to garner praise. The song 'Do Me Like That' was recently identified on the internet as "a great song"; while the reggae style 'Symphony Of Love' continues to be a well appreciated vocal rendition. As the follow up to his previous three vinyl long playing albums, the CD Frozen Fire represents Monty Guy's artistic entry into the digital age of sound recordings. 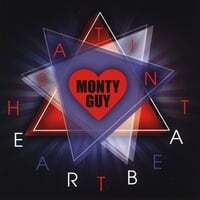 The official website at www.montyguy.com, identifies his subsequent digital music productions which are available for distribution via MP3 downloads, and on compact disc. CD Baby has been supporting my music from the beginning. Featured in the 48th GRAMMY® Awards celebration. Listed for SONG OF THE YEAR (Your Love Saved Me Tonight), BEST MALE R&B VOCAL PERFORMANCE (My Heart's One Desire, and Daddy's Sitting Here); "Quelques bons titres sur cet album et le "My Heart's One Desire" qui est la grosse bombe avec une méchante ligne de basse!!! This is the Anti-Bentley webpage review of this track. The english translation is "...the big bomb with a wicked bass line!!!!". In addition, that site stated that there are "some good tracks on the (In The Black) album". For more details about this INFINITE EMBRACE CD, please go to www.cdbaby.com/cd/montyguy2. Accepted for participation in the 52nd GRAMMY® Awards celebration on Album Of The Year list. The collection includes 'Wayritzat' (Where It's At), noted on Best Pop Instrumental Performance list. 'You Got Me' - Song Of The Year list. '24 Karat Love' - Best Male Pop Vocal Performance list (Legend has it that this song was inspired by the radiant persona, inspiring kindness, and coruscating countenance of an exceptionally beautiful, vibrant, greatly admired, and highly regarded New York City TV News Journalist). 'Spicy Gumbo Magic' - Best Instrumental Arrangement list. The superb R&B pop ballad 'No Regrets' listed as Record Of The Year , Best Male R&B Vocal Performance, and Best R&B Song. The CD EXOTERIC LOVE is also identified on the Best Engineered Album Non Classical list for the 52nd GRAMMY® Awards celebration. MONTY's musical genre is being described as Easy Listening Orchestral Pop. For more details about this CD, please go to www.cdbaby.com/cd/montyguy5. The first album project. Recorded in Brooklyn, New York. Featured on The Joe Franklin TV Show (Memory Lane), and The Richard Roffman Radio Show; both in New York City. The songs "Give It To Me", and "Pain Of Love" are included. Surprisingly, recent comments about this album which have been appearing on the internet include the description "Funky Soul"; I really like that. The track "Give It To Me" has been described as "the dancefloor tune"; that's so cool. I've always considered this song to be my most exciting recorded track. The band was working live on a fresh, brand new composition, and the session was hot! Each musician was superb; from the drum intro (Bernard Davis, Jr.) To the scorching licks of the lead guitar finale (Melvin Sparks Hassan)! The vocalist (Monty Guy) delivered good tone, sincere energy, and genuine passion. The Pazant Brass (Edward Pazant/Alvin Pazant, founders) provided sparkling brass embellishment. The bass contribution (Anthony Stevenson) displays truly outstanding musician artwork! The unit was tight and in synch. The result was a very good hot tune. Although printing has been discontinued, Melotone-Muse, has a few mint copies in its vault which are available to my audiophile fans. This album, my second, also written, produced, and recorded in Brooklyn, New York. Again supported by the outstanding TV Talk Show Host Joe Franklin. Billboard Magazine liked "Time And Passion"; which includes the always well appreciated lead guitar excellence of Melvin Sparks Hassan, and the thoughtful, yet scintillating acoustic piano artwork of Hammond B3 maestro Dr. Lonnie Smith; while being tastefully complemented by the smooth, substantive, and appropriate bass guitar craftwork of Stanley Banks. Bernard Davis, Jr. is excellent on drums...as usual. "Love Me Tonight" was well received in the Mid-South USA. "My Heart's One Desire" made its debut, and continues to be one of my best ballads to date. Production of this 12" LP has been discontinued due to industry product development to the CD medium. Still, it is interesting to note that recent critics have referred to the music on this LP as "Modern Soul"; with "My Heart's One Desire" being identified as the 'strong track...with the great bass line'. "Quelques bons titres sur cet album et le "My Heart's One Desire" qui est la grosse bombe avec une méchante ligne de basse!!! ; states the Anti-Bentley webpage. The english translation is "Some good tracks on this album and "My Heart's One Desire" which is the big bomb with a wicked bass line! "; "the stand out cut on the (IN THE BLACK) album", wrote website www.goodfootwax.com. Thanks, that's greatly appreciated. I'm delighted that we were inspired to bring this song into the digital age by including it on the CD entitled "INFINITE EMBRACE", which was a featured participant in the 48th GRAMMY® AWARDS Celebration. This is my third album; recently referred to on the internet as "a great funk LP". I like that; thanks. Also, we enjoy noting that www.musicstack.com kindly described OPUS GROOVE 2000 as "an excellent " album. We're greatly appreciative. Although written and arranged in Baltimore, Maryland, production and recording work was done in Brooklyn, New York with my excellent musician friends, and features THE PAZANT BRASS on "Melody With A Swing", which was composed especially for their Brass playing. The song "Hanging Tough" was awarded a few Top Ten listings at various venues throughout the Mid-South, USA. The album cover photo is an artist self portrait. Manufacture of this LP has been discontinued; still, Melotone-Muse has a few mint copies available to my audiophile fans while stocks last. A few 7" 45 RPM vinyl discs were produced and published along the way. During a hot summer of job hunting in New York City, I received a serendipitous invitation to audition at Harlem's famous COTTON CLUB. The proprietor, 'Mr. JD' opened the door, allowing me to meet the outstanding musicians who would guide and support me musically. It was clear that I was a novice. Still, THE PAZANT BRASS (Edward and Alvin Pazant) said "We'll work with you...you got enthusiasm". We did a single studio demo session in Manhattan, on Broadway, NYC, to "show me the ropes". We went on to record the first single. 1. Hungry For You b/w Once Upon A Time. This is a "Special Edition " release, because I figured it (making and recording music) would never happen again. However, Bill McIlvaine, an active music reporter and talent critic on the New York-Long Island music scene reviewed the disc, and wrote of his appreciation of "Monty's contemporary Doo Wop style...and breathy tenor". With a good wind in our sails, we launched the project to produce the debut album LOVE JAMBOREE; featuring my COTTON CLUB friends. As time would tell the story, some years later the "Hungry For You" b/w "Once Upon A Time" 45RPM single would be described by Jerseyben, a recording project collector and music historian, as an "INCREDIBLE "sleeper" single with a funky A side and catchy B side. Surprised this artist is not more popular". Future invitations to the GRAMMY AWARDS would enhance the popularity factor. 2. Time And Passion b/w Pain Of Love, and 3. My Heart's One Desire b/w Melody with A Swing, were the next published singles. One more single was attempted; 'Say What You Like', a ballad, b/w 'The Feel Is Right (Groove)', an instrumental. I decided to not release that single because the driving production sentiment was (and still is), "if we're going to do this thing, then we're going to produce albums of music". 'Say What You Like' found a place on the OPUS GROOVE 2000 album. Melotone-Muse has a few mint copies available for sale to supporters; while the stock lasts. These 7" vinyls are no longer being manufactured for current distribution. This new CD release by Monty Guy features soundtrack instrumentals created for the movie "Shaolin Zulu". The main fictional character is Staunchey Sedgwick, a metro residing Zulu Shaolin Priest Lawyer PI. The single vocal track is a R&B Pop fusion piece entitled "The Beautiful Magic Of You" (La Hermosa Magia De Ti), which one critic suggests, features "old school style love lyrics" . This song won a place on the Best Male R&B Vocal Performance Entry List for the 53rd GRAMMY® AWARDS celebration, while the CD "Above The Clouds" is included on the ALBUM OF THE YEAR Entry List. Material from this collection is being considered for inclusion in The Recording Academy's (NARAS) streaming catalog that will showcase certain nominated selections in commemoration of the 53rd GRAMMY® Awards celebration. Find this CD at www.cdbaby.com/cd/MONTYGUY1. Buy this CD at CD Baby, DigStation, and other fine internet sources. 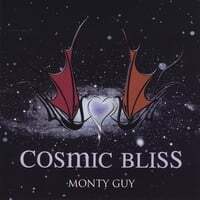 COSMIC BLISS is the the newest CD in the Original Easy Listening Orchestral Pop genre by MONTY GUY. This CD was produced while incorporating the dynamic sound engineering process that successfully yielded the CD entitled "Above The Clouds". The eleven tracks are introduced with a fresh, brand new song production called "Work Your Mojo Tonight". This new MONTY GUY CD is a spirited, musically mature, eclectic, uplifting, and melodious collection of original songs. Created with uptempo vocals, ballads, and instrumentals, COSMIC BLISS is being introduced to the 55th GRAMMY® Celebration Entry Lists as Album Of The Year. The track "Work Your Mojo Tonight" is being presented on the Record Of The Year List; it will also appear on the Best R&B Performance List, the Best Pop Solo Performance List, and the Record Of The Year List. The ballad track "Your Love Saved Me Tonight" is an artistically challenging song, yet, it is sincere in its vocal delivery. Its emotional competitor, although of moderate tempo, is the reflective and warm-hearted "My Lover & Friend". COSMIC BLISS is a bold, energetic, and challenging CD production; with its variety of song composition type. The CD collection is a pleasing and artistically honest effort in the contemporary music production artform; while showing quality creative musical thought and passionate musicianship; especially in the instrumental renditions. The deliberate dynamic sound engineering focus of COSMIC BLISS was well placed; resulting in the creation of a music product which was also developed with equipment sensitive audiophiles in mind. This CD is intended to appeal to many listening types, moods, and moments. COSMIC BLISS was expected to appear on the Best Engineered Album list at the 55th GRAMMY® Celebration. However, its release date qualified it to receive an invitation to participate in the 56th GRAMMY® Awards Celebration, where it will be accompanied by Monty's follow up CD entitled "SATIN HEARTBEAT"; which is expected to appear on the Best Engineered Album entry list, and Album Of The Year entry list. COSMIC BLISS went on to become the first CD collection in the MONTY GUY Easy Listening Orchestral Pop genre and music styling catalog to be downloaded by Fans, Friends, and Supporters in its entirety. It appears difficult to choose the "best" tracks on COSMIC BLISS; because of this CD's variety of song. We are, therefore, forced to consider the quality and originality of song composition, our level of personal appreciation in the artistic effort, the pleasure of the musical arrangements, the daring artistic challenge, and the eclecticism of the collection. Vocals or Instrumentals? MONTY GUY delivers a sincere quality effort in the quest to satisfy the music listener's delight in his Original Easy Listening Orchestral Pop genre. This CD will enjoy being the recipient of many well appreciated moments of satisfying listening pleasure beyond the spectacle and excitement of the 55th GRAMMY® Celebration. CDBaby has been a very sincere and energetic MONTY GUY supporter from the very beginning. A new CD in the Easy Listening Orchestral Pop genre and music styling of MONTY GUY. Featuring the songs "Tango Of Love", "No Regrets (No Se Arrepiente)" and ten others. Praised by some critics for its "New Romantic AC sound element"; possibly attributable to the lyrical content of the songs. Created while using the Dynamic Sound Engineering Recording (DSER) process for enhanced listening enjoyment, which was discovered during the "Above The Clouds" CD project, and refined during the "Cosmic Bliss" CD production process. SATIN HEARTBEAT was released in general distribution on September 5, 2013. We love CD Baby! They have been great friends and Supporters from the beginning. Vibrant and original mid-tempo Pop/Alternative Rock music, featuring energetic band and orchestra instrumental arrangements, supporting tasteful lyrics of love, delivered with a sincere crooner style sensitivity that is suitable for easy listening. "Angel Whispers" is the exciting follow-up to Monty Guy's well received CD "Intergalactic Tour and Showtime Review". This new collection shows Monty staying true to the formula that brought him here. He appears determined to create and deliver delightful popular music to the increasing legion of Friends, Fans, and Supporters. He continues to deliver originality, energy, and good taste, while displaying a staunch determination to adhere to the classic elements of memorable popular music craftwork which has been the hallmark of pioneering and contemporary popular music creators. This new collection remains consistent with the Monty Guy music presentation formula with its mix of vocals and instrumental tracks. The first four tracks offer lyrics of love and philosophical contemplation. The final four tracks highlight an ardent dedication to achieve superior sound reproduction, while delivering quality original compositions constructed with substantive instrumental arrangements. It now appears that Monty is pursuing a goal of creating a pleasing and memorable catalog of original popular music which includes both vocal and instrumental renditions. The attention to quality sound reproduction appears to be a significant and constant motivation. While preparing this commentary, some five star ratings of Monty's previous releases appeared during a web reference search. It is anticipated that this new "Angel Whispers" CD collection of popular songs will attract new listeners, while delighting current Fans, Friends, and Supporters, as they continue to appreciate the original easy listening musical Pop/Alternative Rock stylings of Monty Guy.